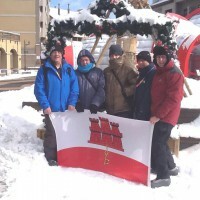 The wild weather made a determined effort to keep people at home on Friday evening, 22nd February. 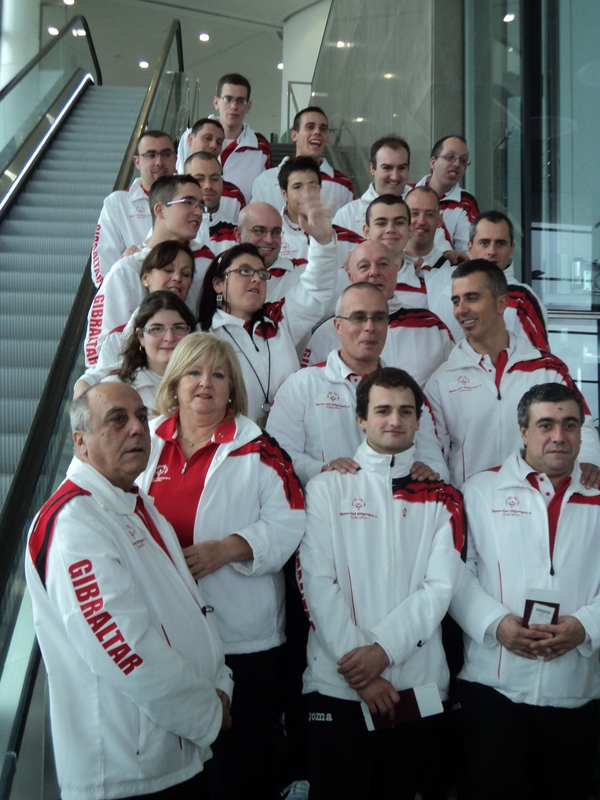 Not only that but Parliament was sitting late into the evening certainly keeping our Ministers busy and away from joining us, as Special Olympics Gibraltar gathered at the Gibraltar Defence Police HQ at Rooke. 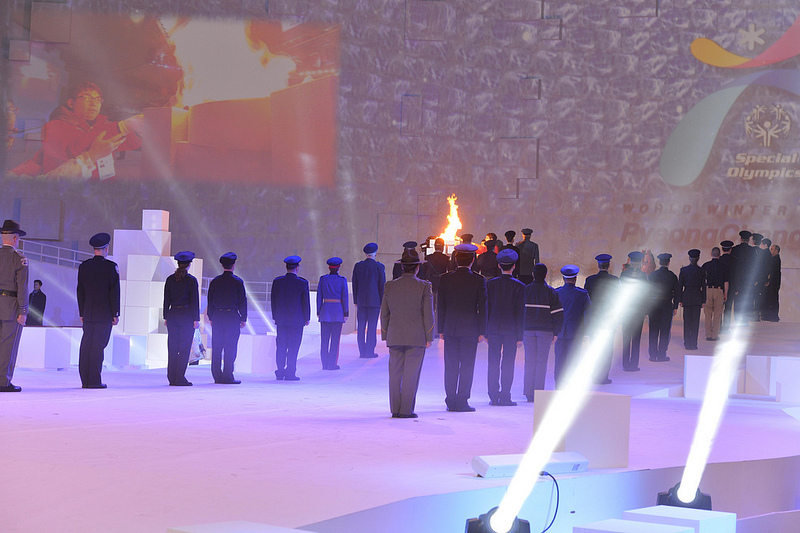 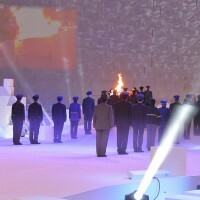 This was the scene of a welcome home reception for the athletes and coaches who had travelled to, and competed in the World Winter Games in S. Korea. 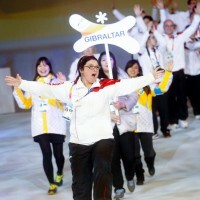 A warm welcome awaited athletes, parents and sponsors in from the inclement weather where a presentation to sponsors took place. 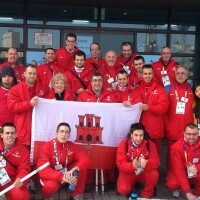 The biggest sponsor is Government, but without our faithful and generous sponsors of many years the athletes would miss out on the opportunity to compete and represent Gibraltar abroad. 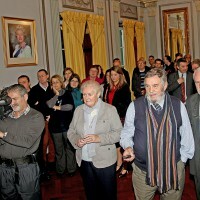 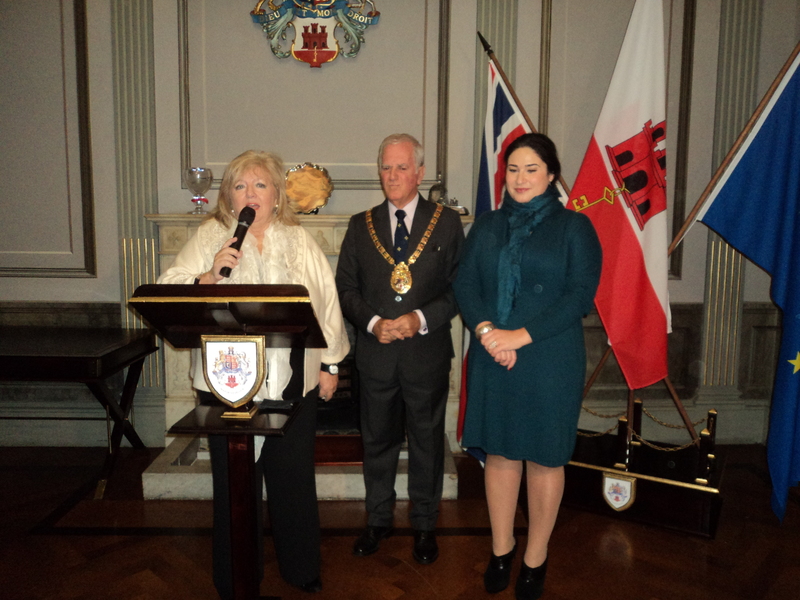 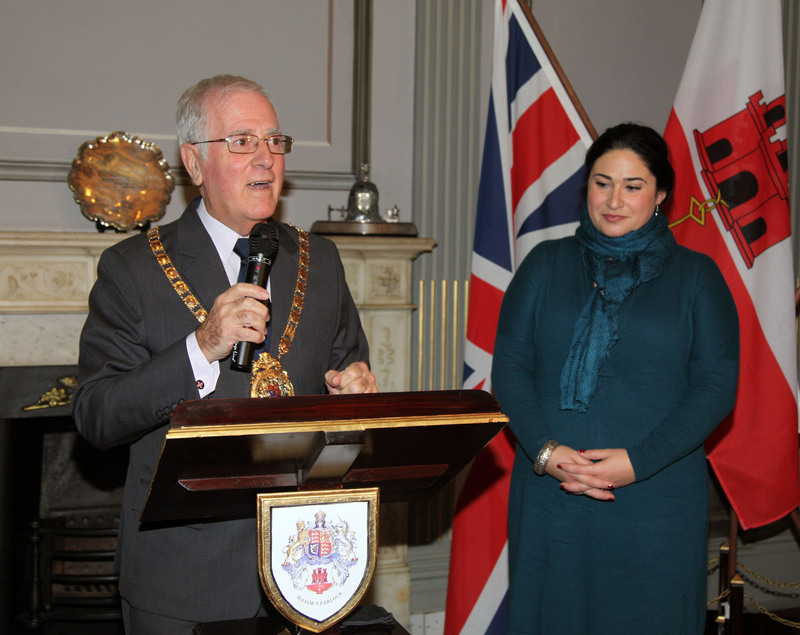 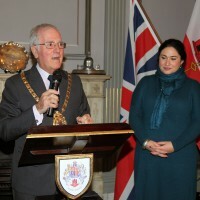 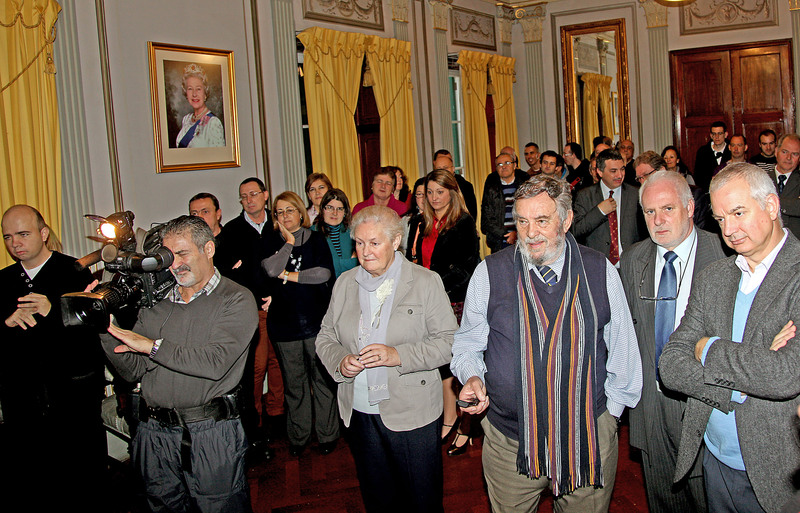 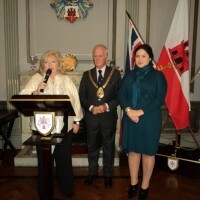 We thank most sincerely; the Government of Gibraltar, Jyske Bank, Valmar Pharmacy, Trends, Bassadone Motors, Lombard Odier Darrier Hentch Private Bank Ltd, Gibtelecom, Gibraltar Women’s Health Group, Saccone & Speed, Cotton Leisure, and the Gibraltar Defence Police who hosted the reception. 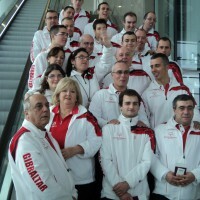 A framed photo of the team was presented to each representative in recognition of their valued sponsorship. 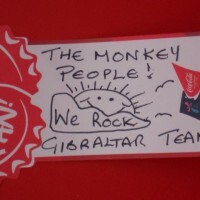 We appreciate the hard work of Michael Martinez and his colleagues, all involved in ensuring that the evening was a convivial one enhanced by a mouth watering paella, and thank the organisers who all gave their time generously to ensure a lovely evening was had by all. 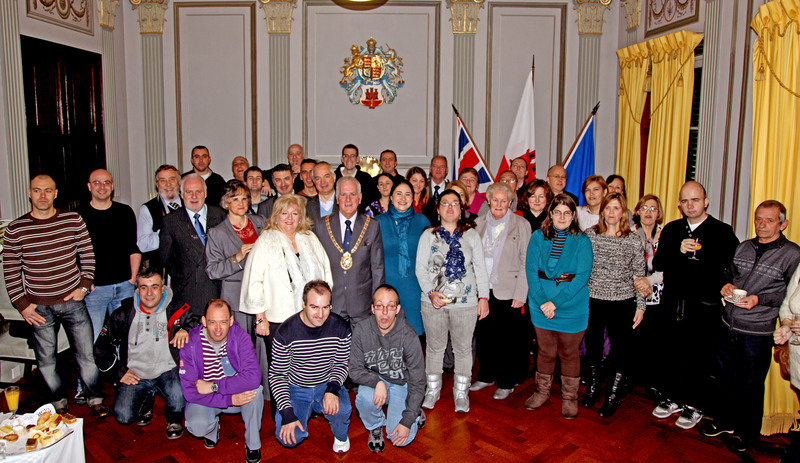 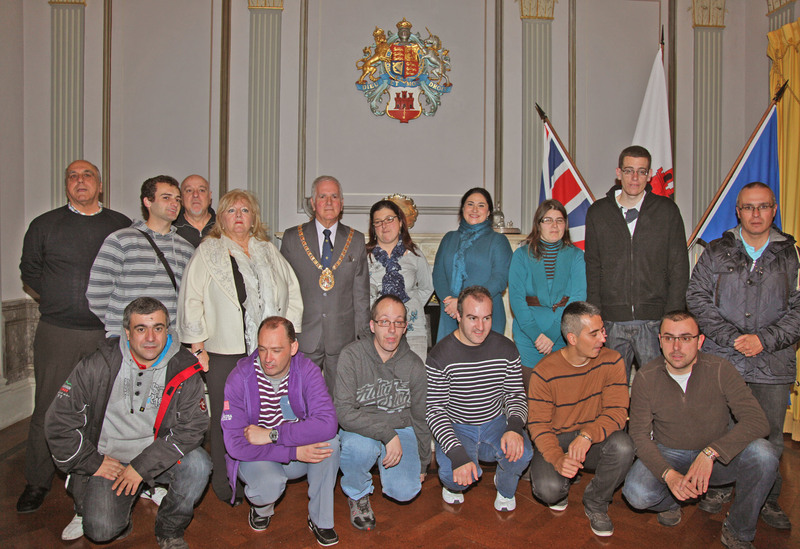 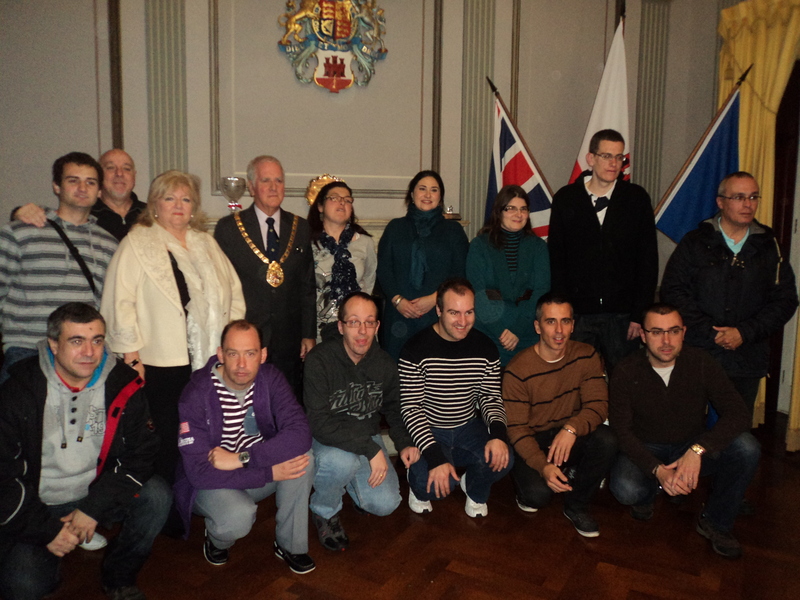 On a very windy and wet Saturday morning, 9th January 2013, Special Olympics athletes going to compete in Snowshoeing and Unified Floor Hockey, with their families and committee members braved the unseasonal elements ad gathered in the Mayor’s Parlour at the City Hall. 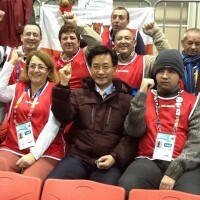 His Worship, Mr. Tony Lima had extended an invitation to wish farewell to all those going to S. Korea to compete in the World Winter Games. 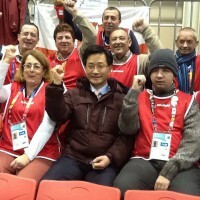 The weather was no damper of spirits and the mood was lively as His Worship extended his support and all good wishes to the Team. 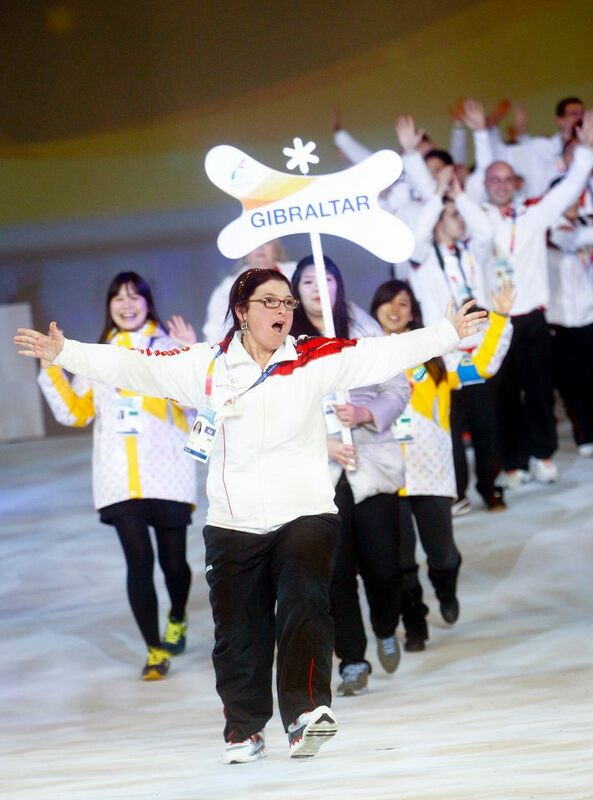 An Opening Ceremony that went Ganghnam style and one special moment during the Parade of Athletes when Gibraltar, led by a dancing Virginia which elicited a delighted response from the commentator with the words ‘she’s ready to go’! 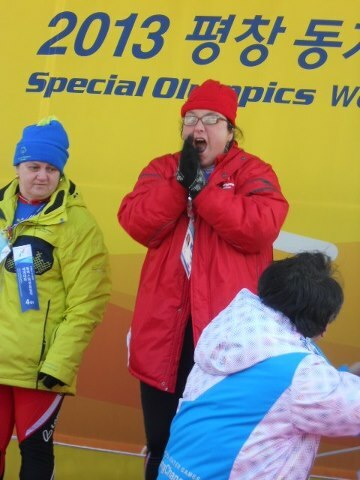 She set the tone of joy which is Special Olympics and our athletes entered into the same spirit giving their all in their chosen sports. 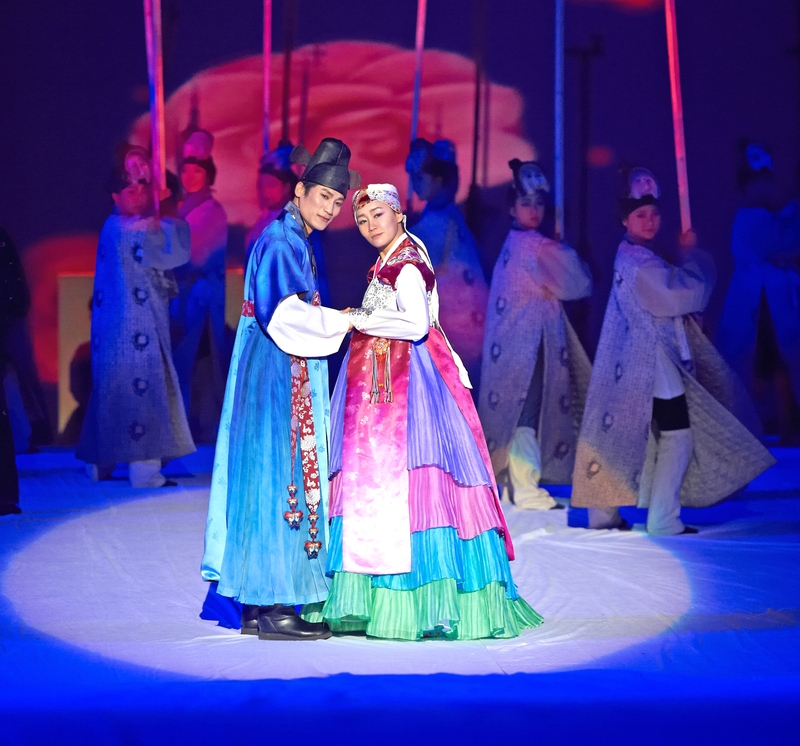 The ceremony itself was a delightful mix of beauty, grace, colour and dance with Korean music embodying the theme; ‘co-existence and harmony’. 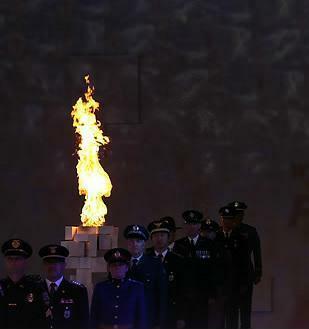 The Torch Run arrival was impressive and the athletes relay was dignified. 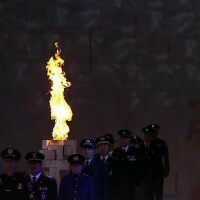 The lighting of the cauldron of “hope and dreams” was spectacular, accompanied by fireworks outside lighting up the cold night sky. 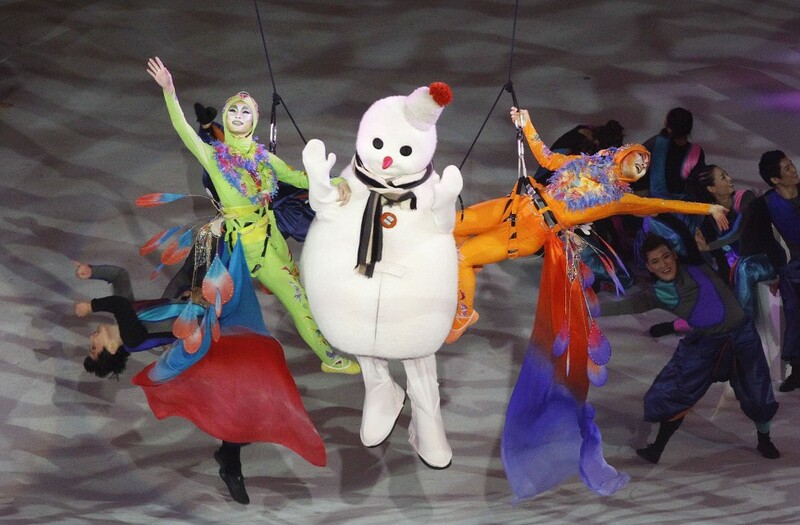 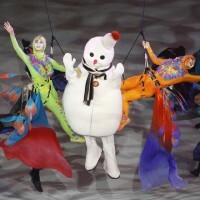 The Snowman’s Dream, opening act, was a gentle and whimsical portrayal of fantasy at its best. 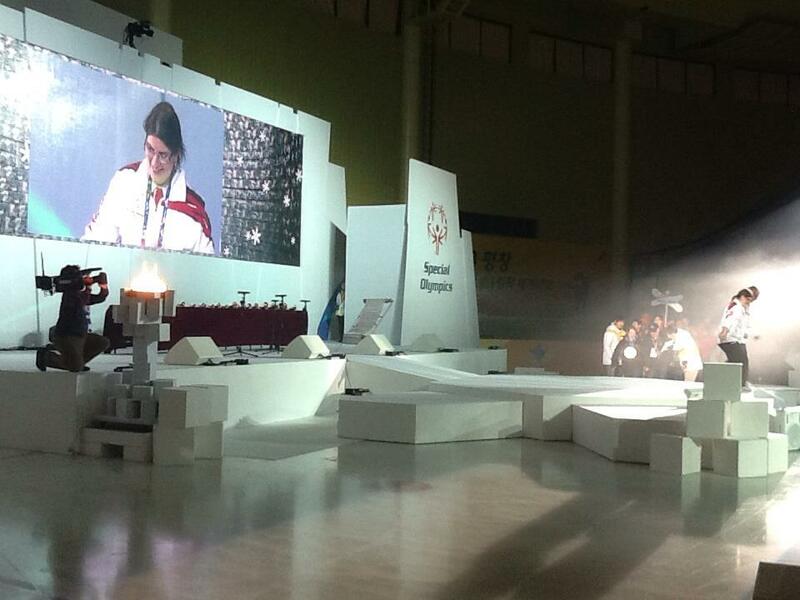 The theme song, Together We Can was emotively sung, taking us to a rousing end with Korean music. 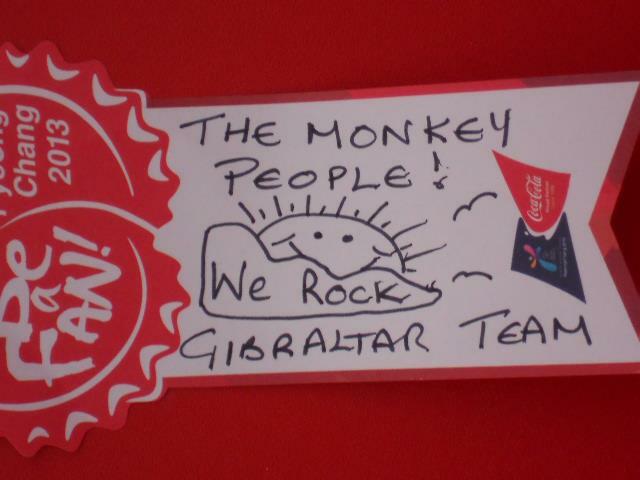 Watching Team Gibraltar take its place on the world stage was actually satisfying because all the hard work and preparation had paid off. 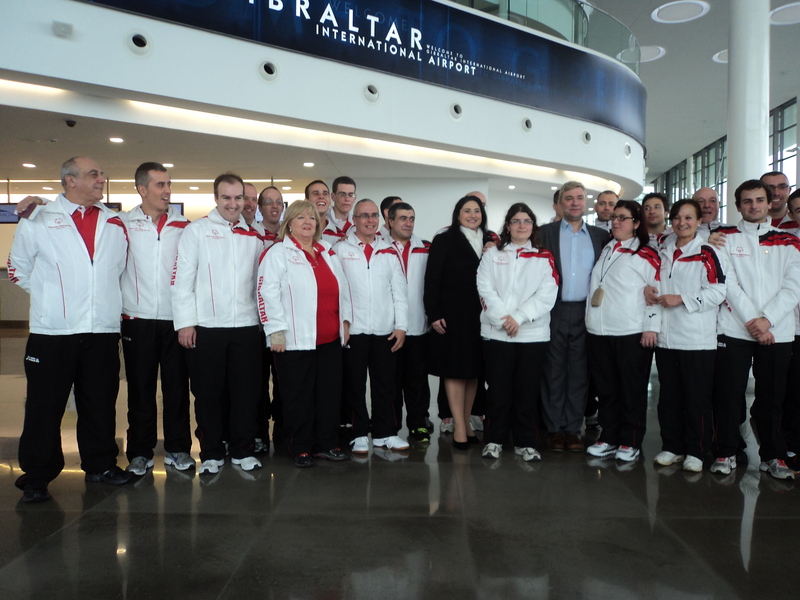 I pay tribute to our sponsors whose generosity and commitment never fail us. 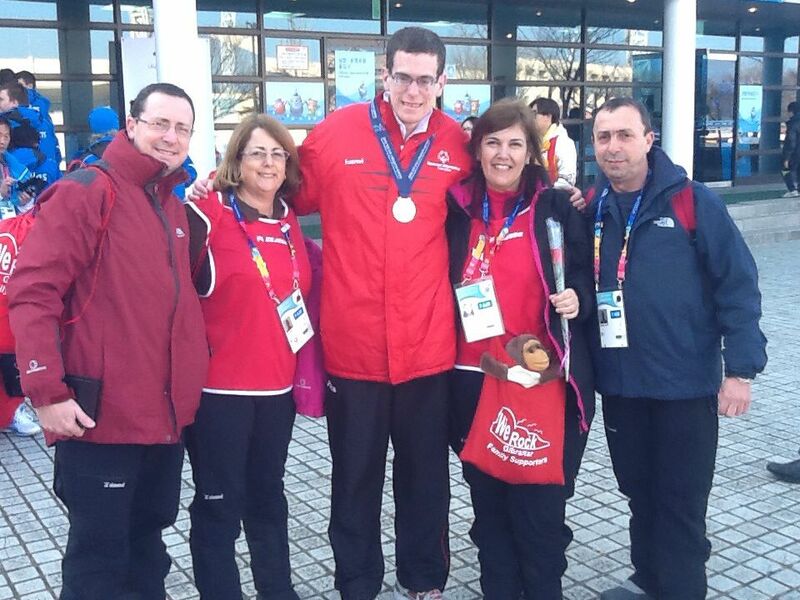 For the athletes and their families, the experience opens doors to unimagined possibilities. 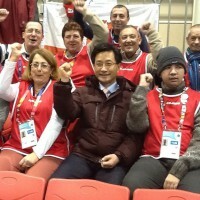 For volunteers, coaches and other supporters from all parts of the world, the Games inspire hope and belief in a brighter future of global acceptance, understanding and unity. 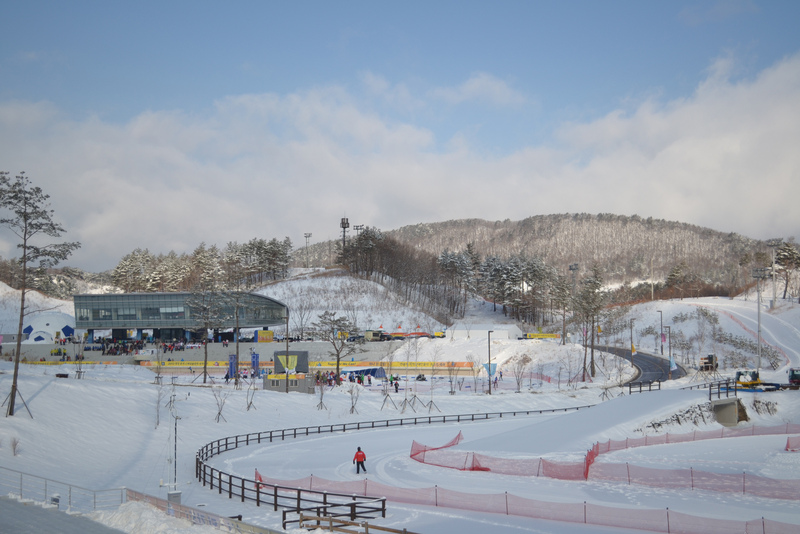 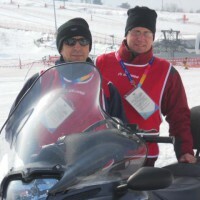 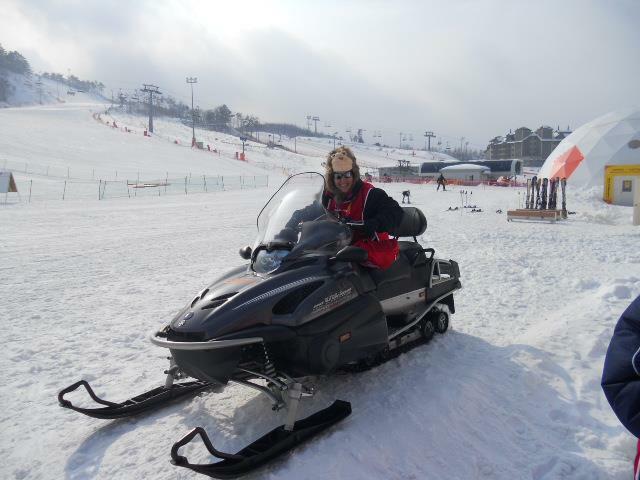 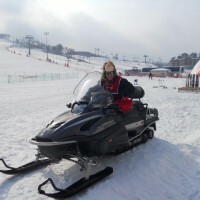 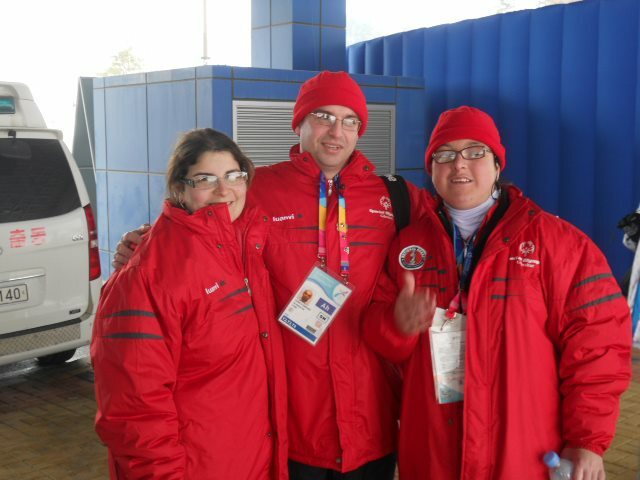 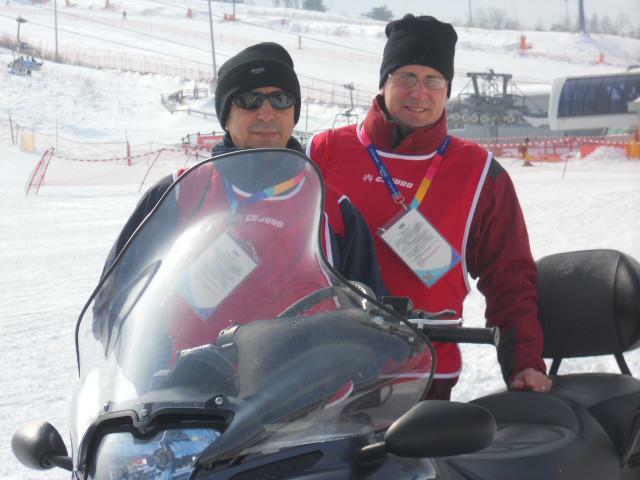 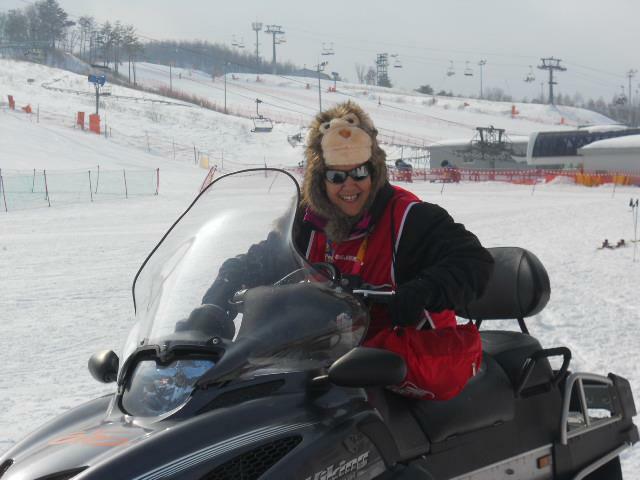 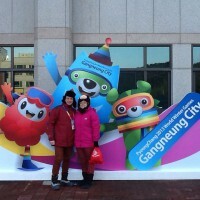 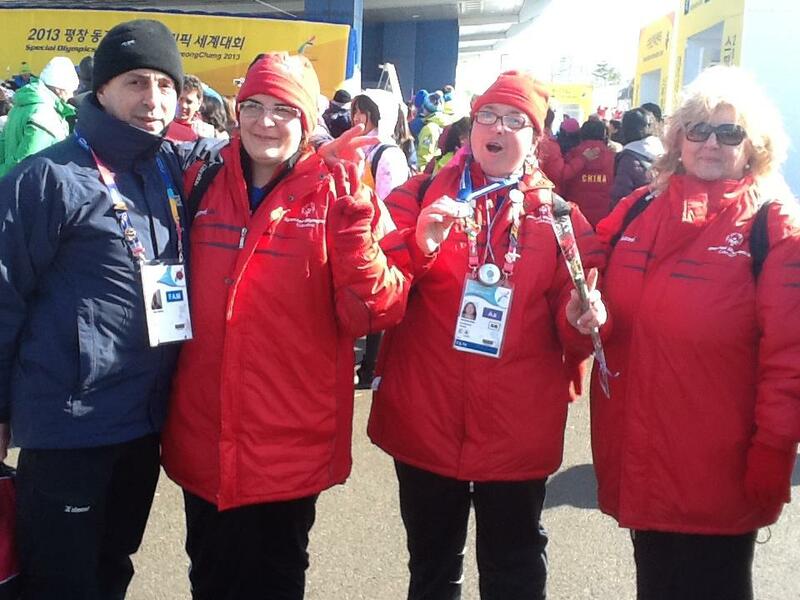 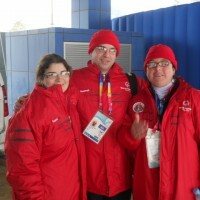 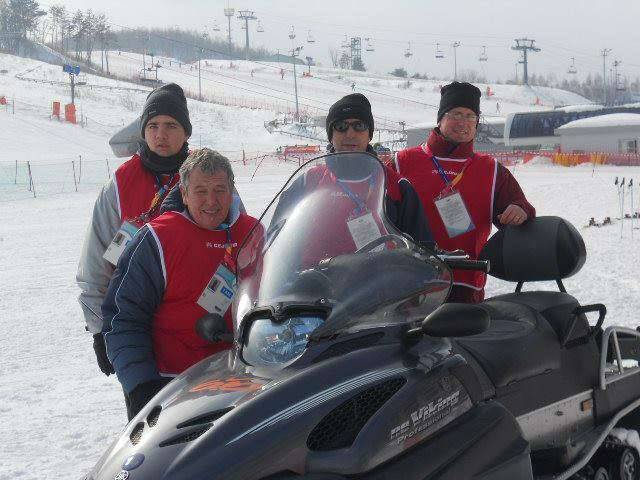 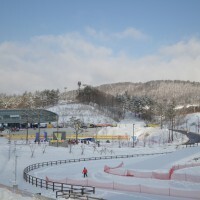 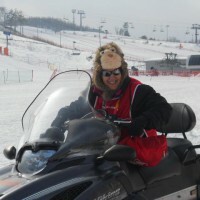 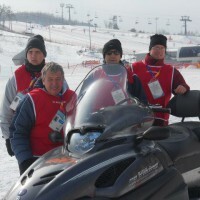 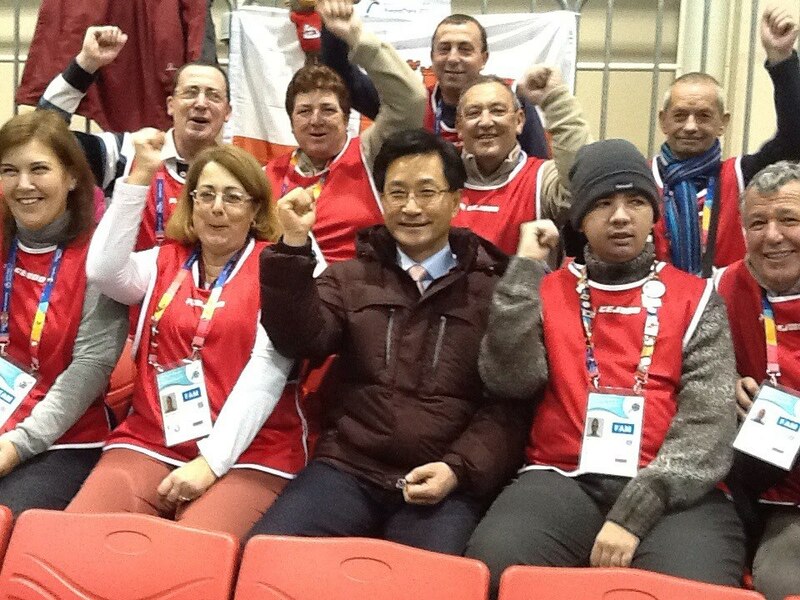 The 10th Special Olympics Winter Games were held in Pyeongchang, S. Korea from the 29th January-5th February 2013. 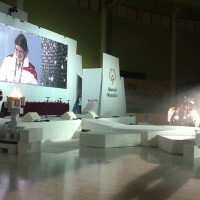 Thousands of athletes worldwide gathered to showcase their athletic skills and celebrate the spirit of Special Olympics. 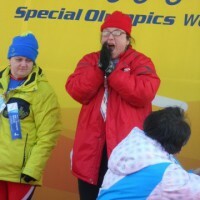 Joining in this spirit of sharing the joy were our Snow Shoeing and Unified Floor Hockey team. 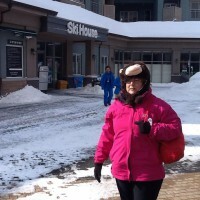 Snow Shoeing has become a popular outdoor winter activity, it is fun and challenging. 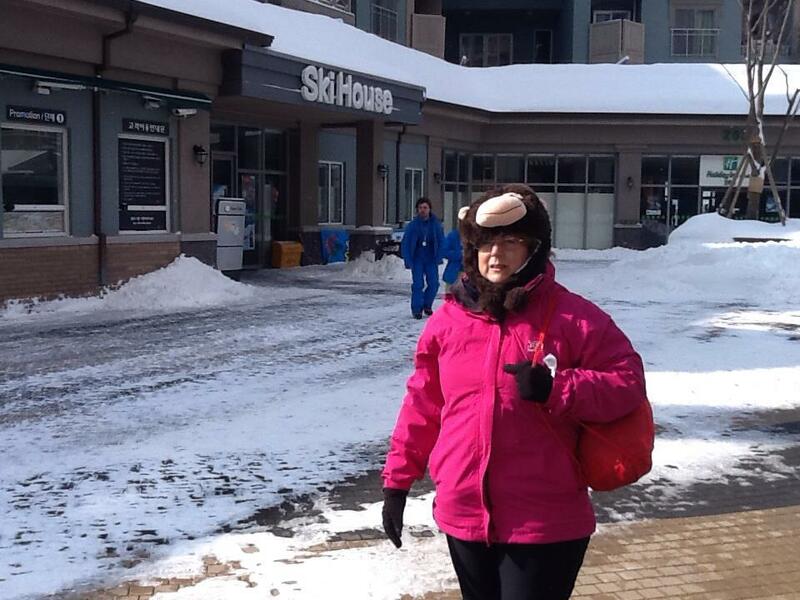 All that’s needed is a pair of snowshoes, winter clothes and of course …the snow! 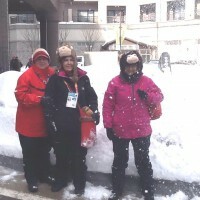 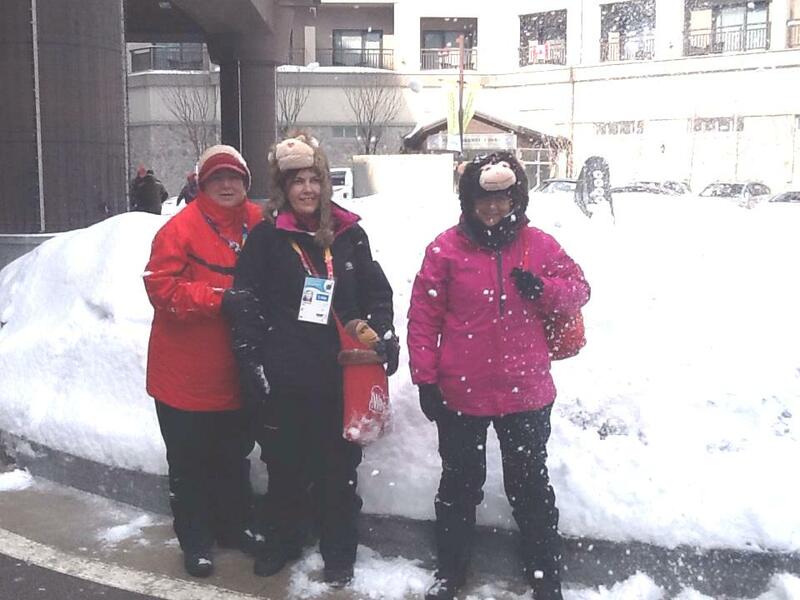 From training on our sandy beaches to the far flung snowy heights of S. Korea went our intrepid athletes, Sally Ann Mauro and Virginia Wink with Coach Ana Marie Golding. 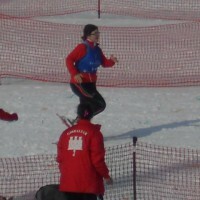 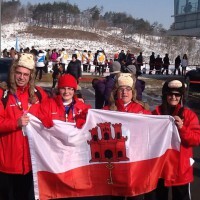 They competed in temperatures of -11, an unknown temperature number for Gibraltar and Sally Ann achieved a Bronze Medal in the 200metres and a 5th placement in the 100metres. 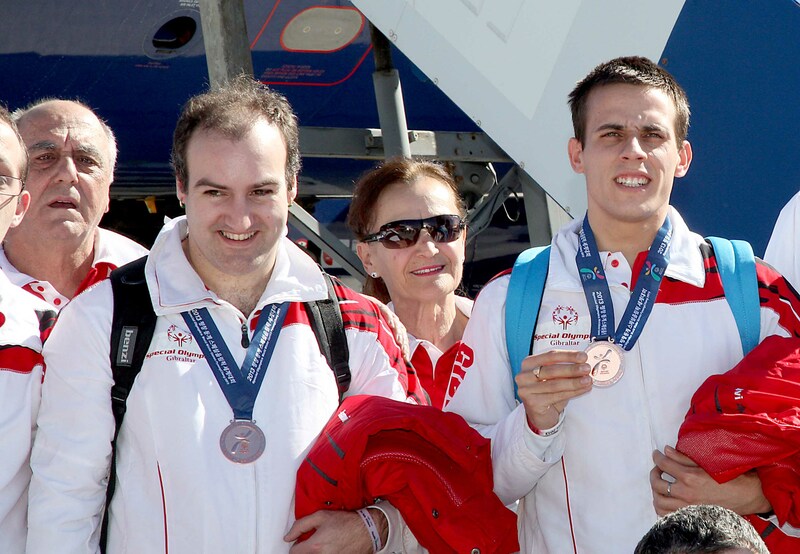 Virginia achieved a Silver Medal in the 100 metres. 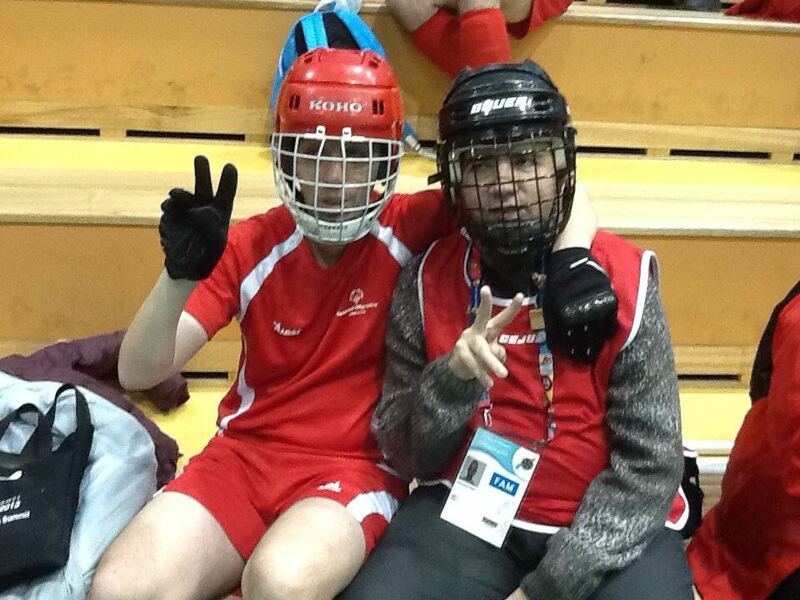 Unified Sports is an inclusive initiative open to people of all ages, from youth to adults, where athletes with intellectual (learning) disabilities practise and play together on the same teams with people without intellectual (learning) disabilities. 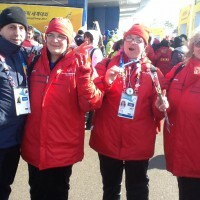 Mixed teams provide the public direct opportunities to experience first-hand the capabilities and courage of Special Olympics athletes, helping raise awareness and overcoming prejudices about intellectual (learning) disabilities. 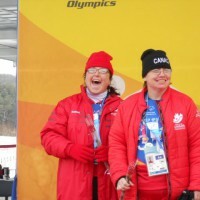 Unified Sports enables Special Olympics athletes and partner athletes – without intellectual (learning) disabilities – improve their physical fitness, sharpen their skills, and have fun together. 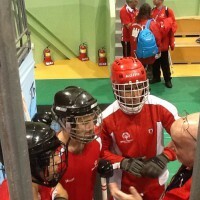 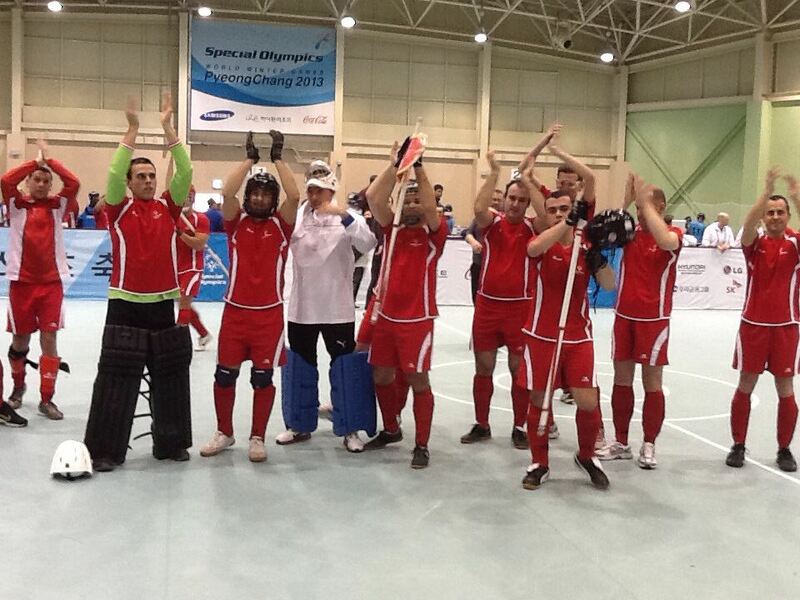 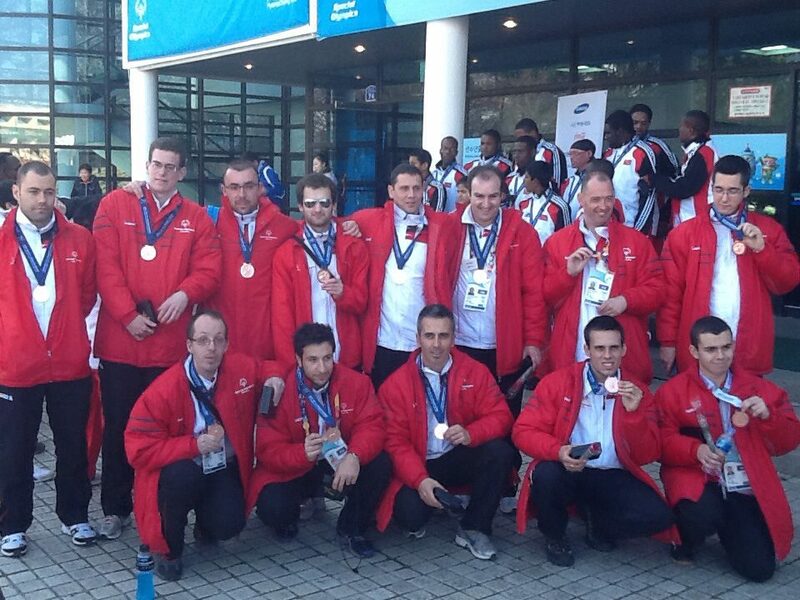 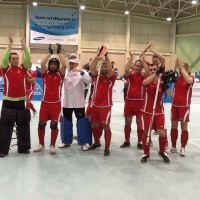 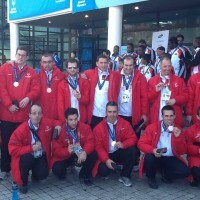 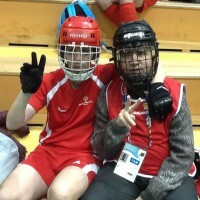 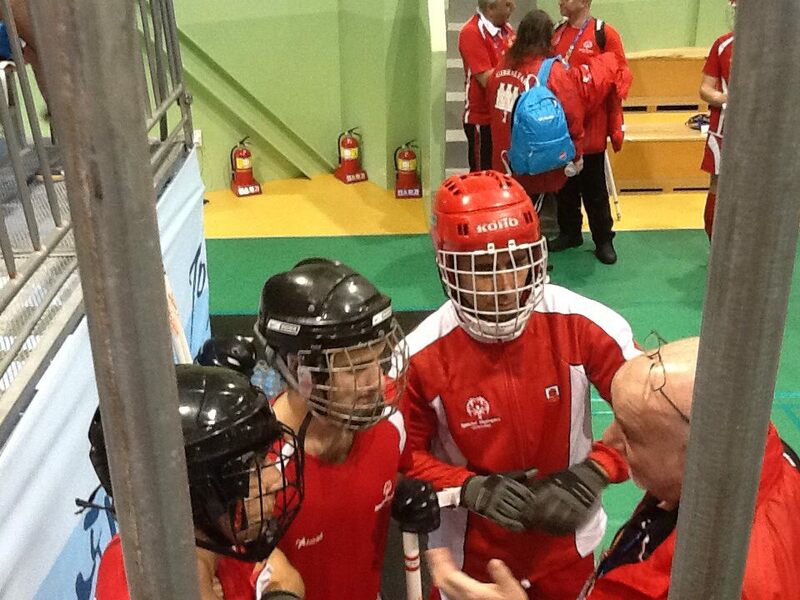 Team Gibraltar achieved a Bronze Medal and this was the first time they have competed in Unified Floor Hockey. 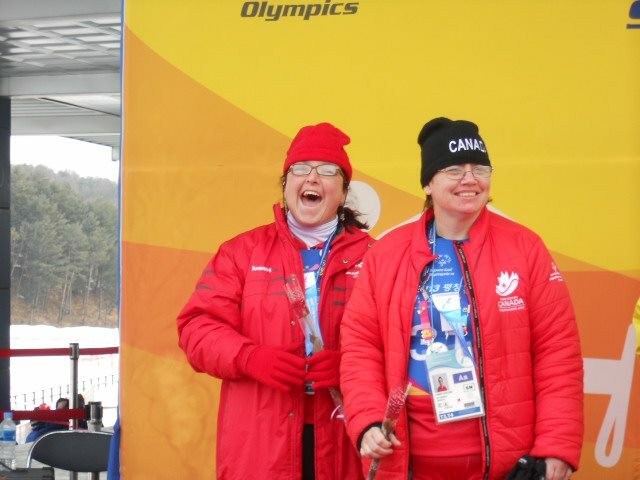 Families are the number one fans of the athletes because they alone can offer the love, support and encouragement which no one else can. 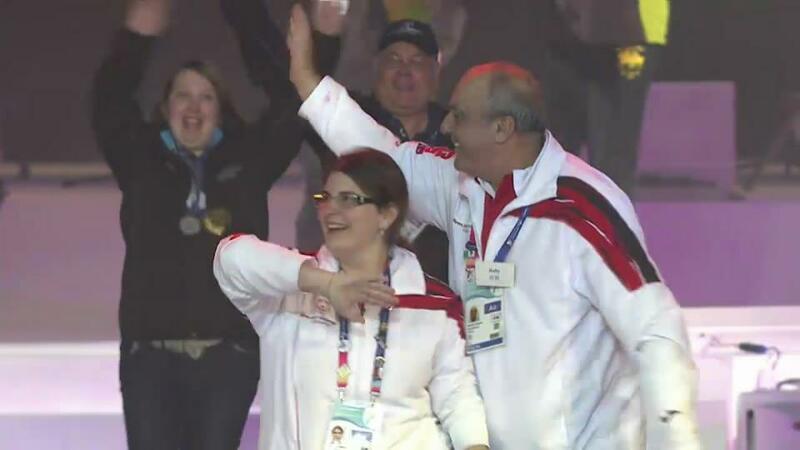 They cheer the loudest and longest because they really understand what their child (ren) can achieve. 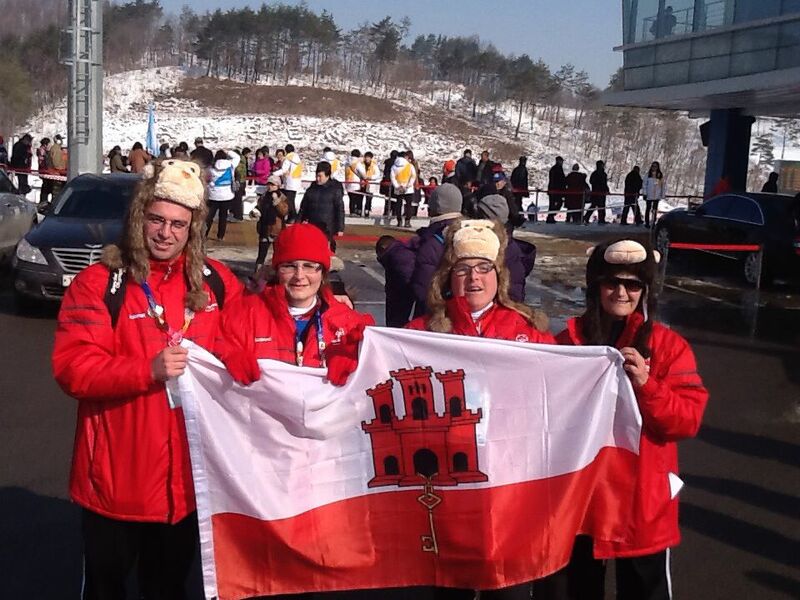 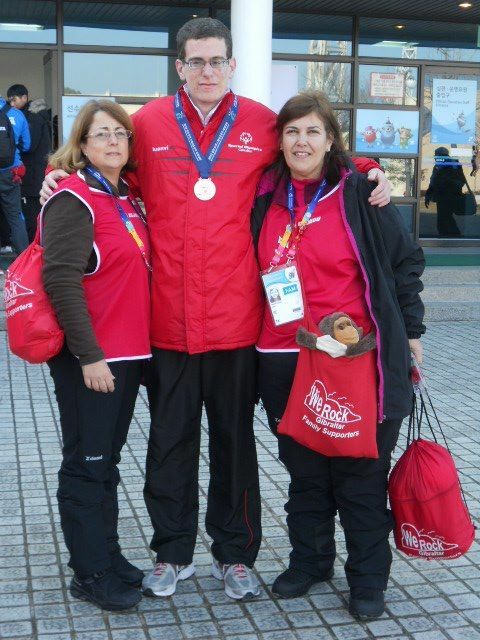 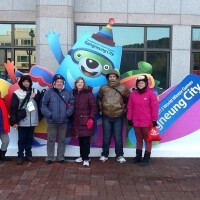 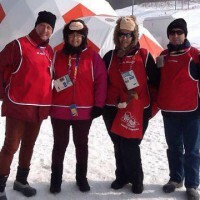 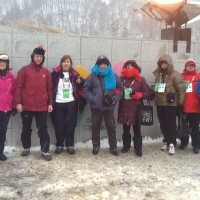 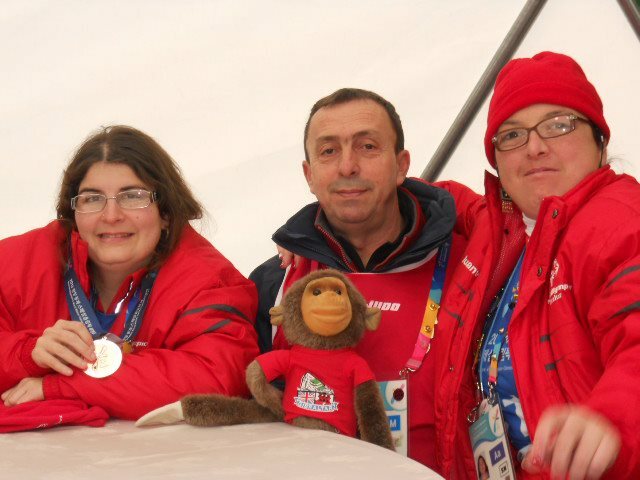 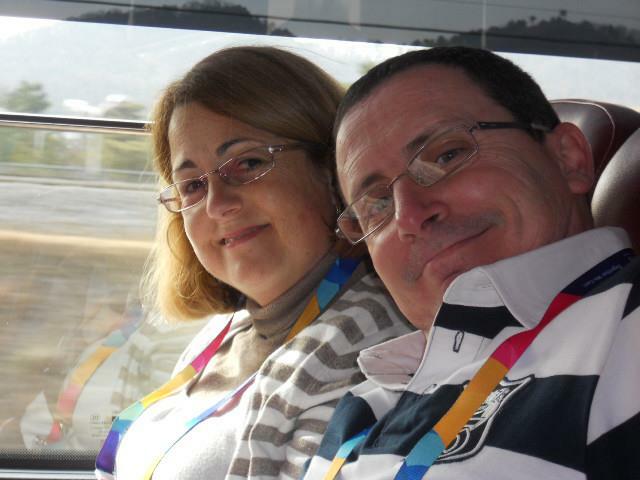 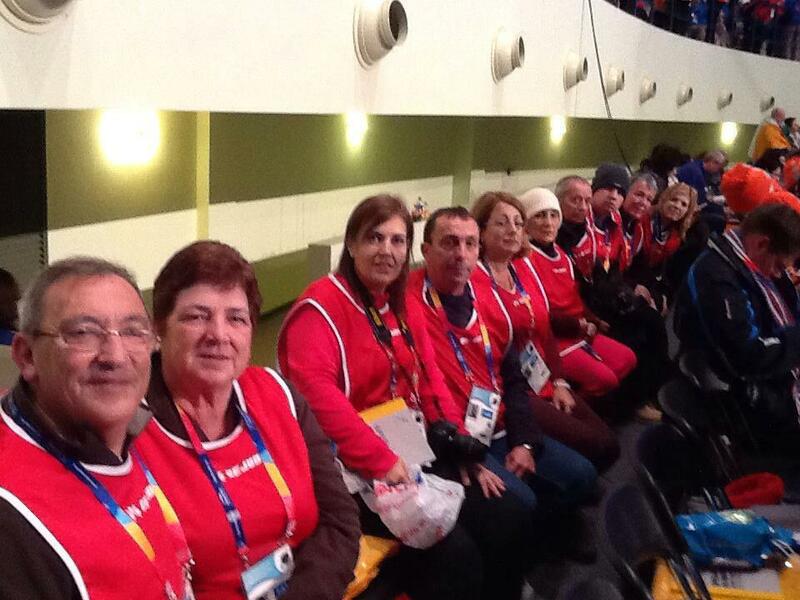 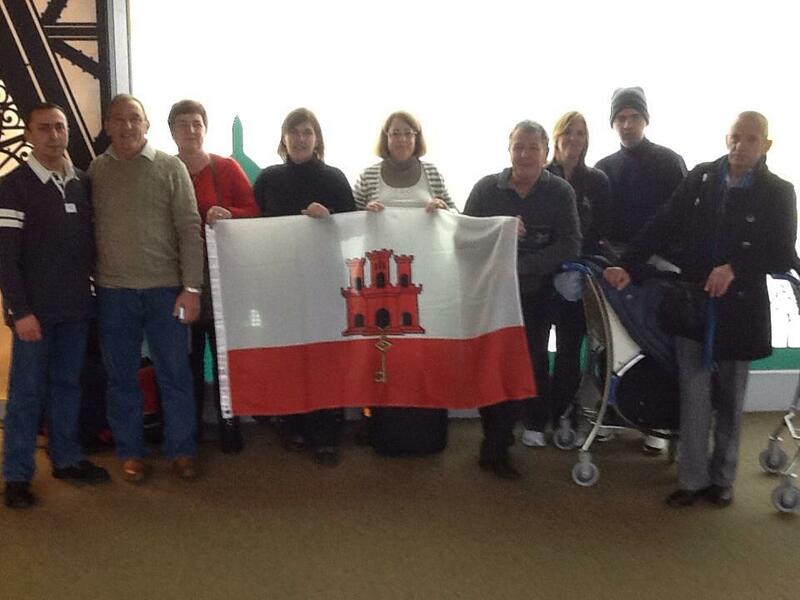 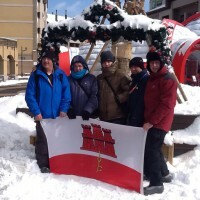 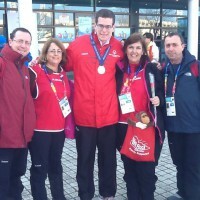 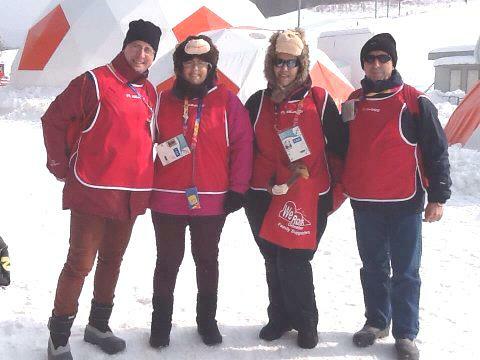 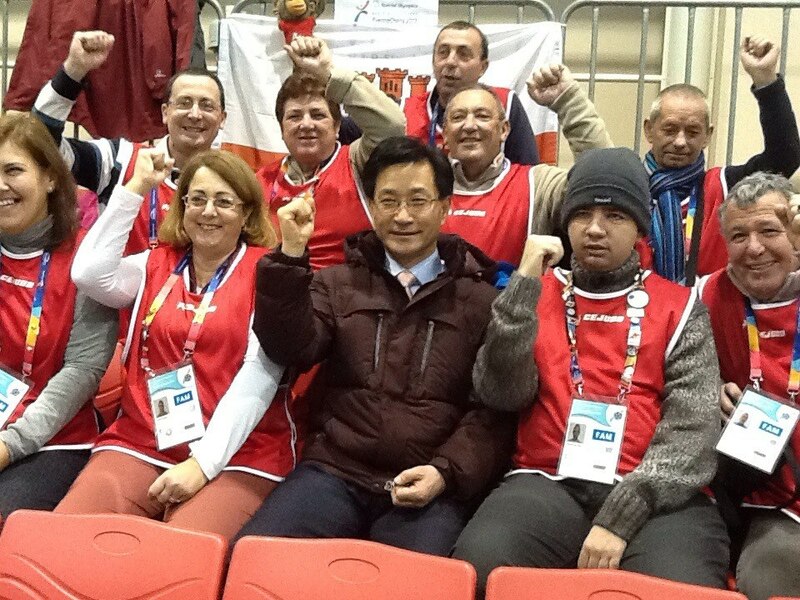 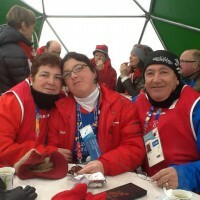 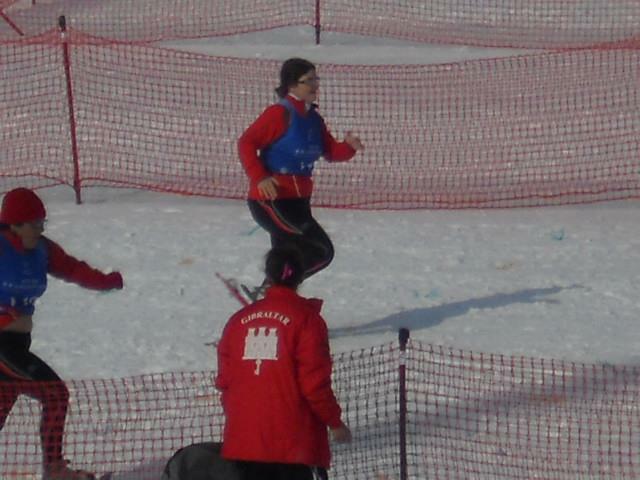 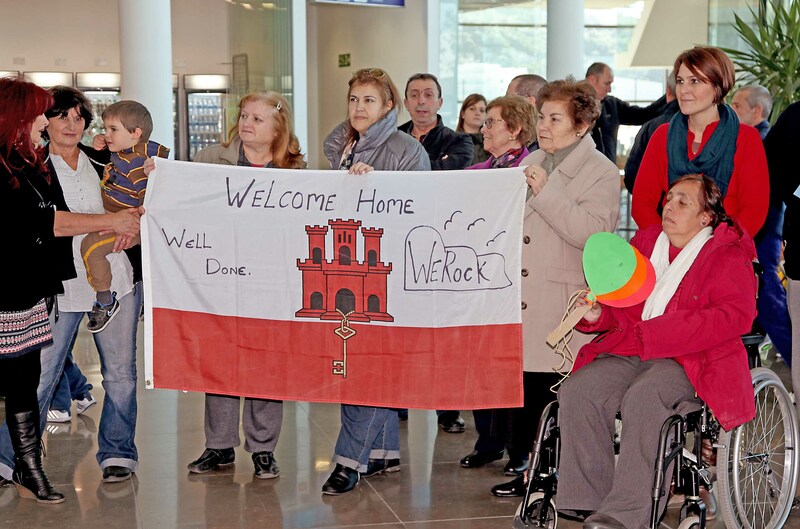 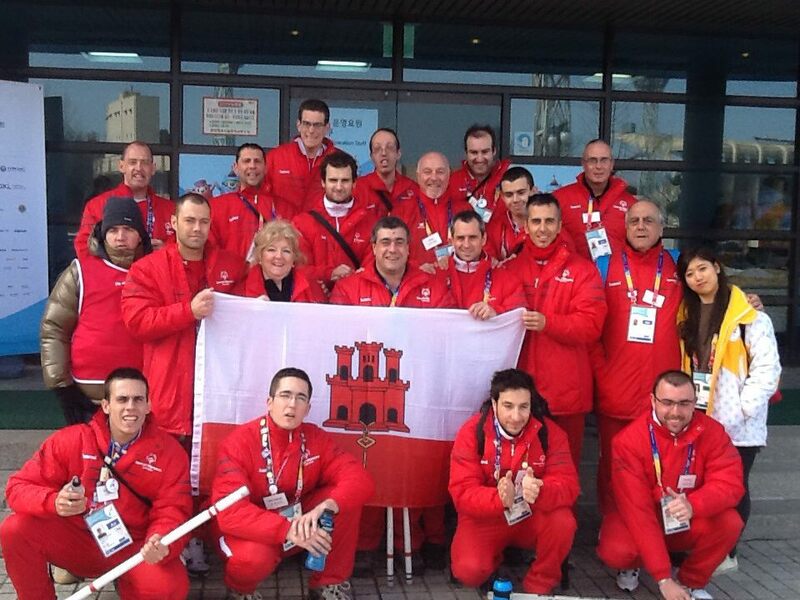 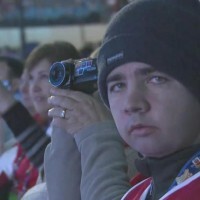 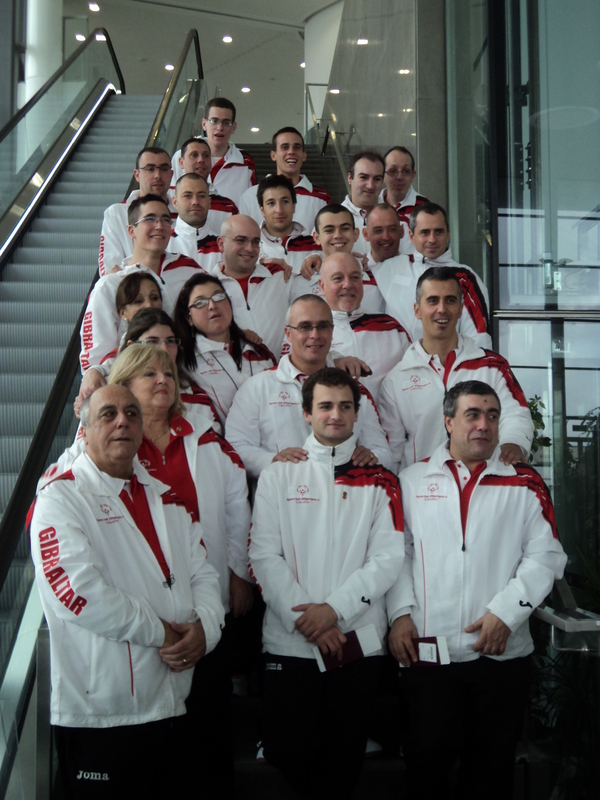 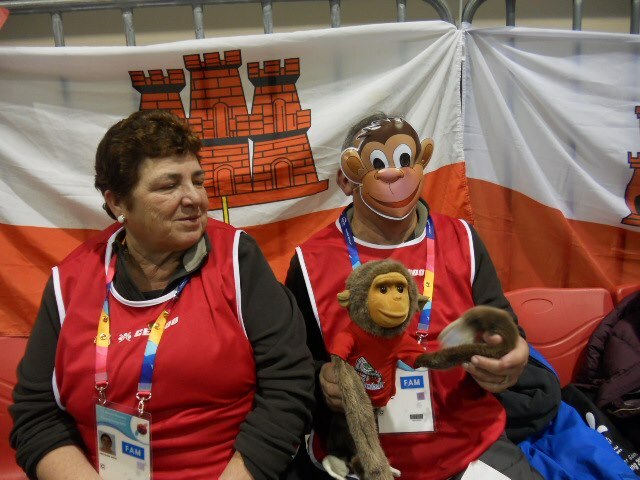 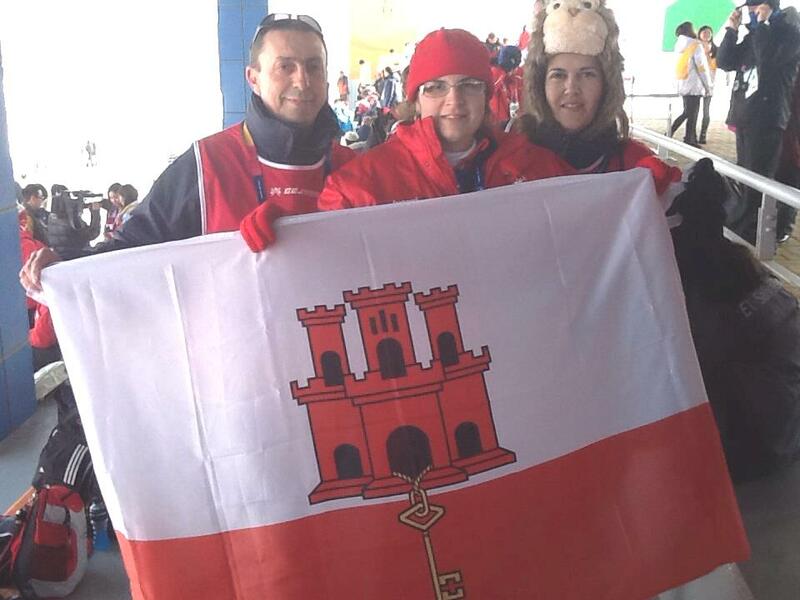 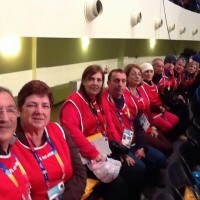 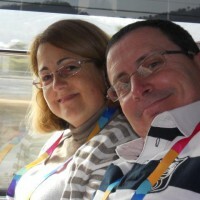 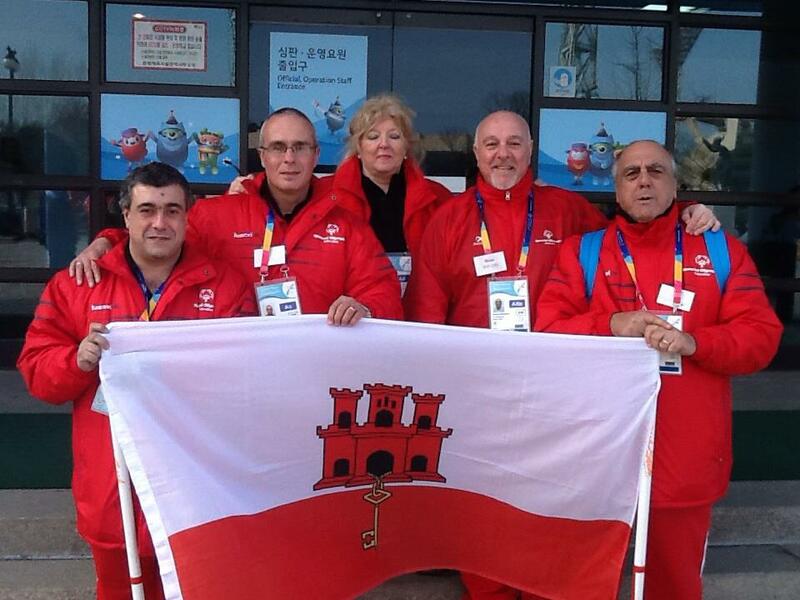 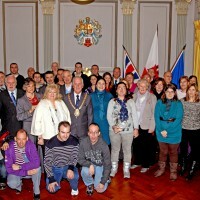 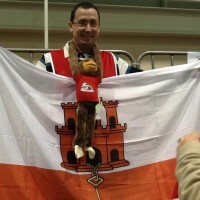 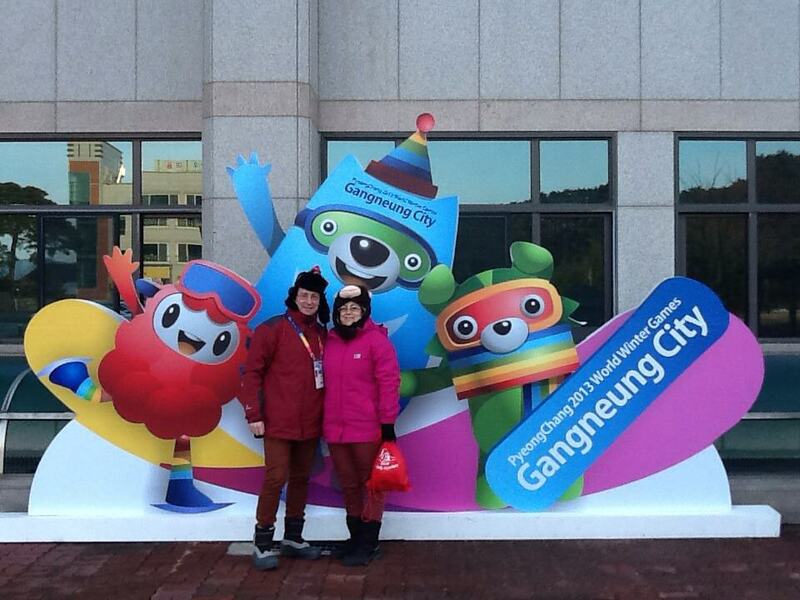 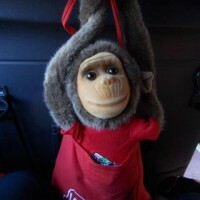 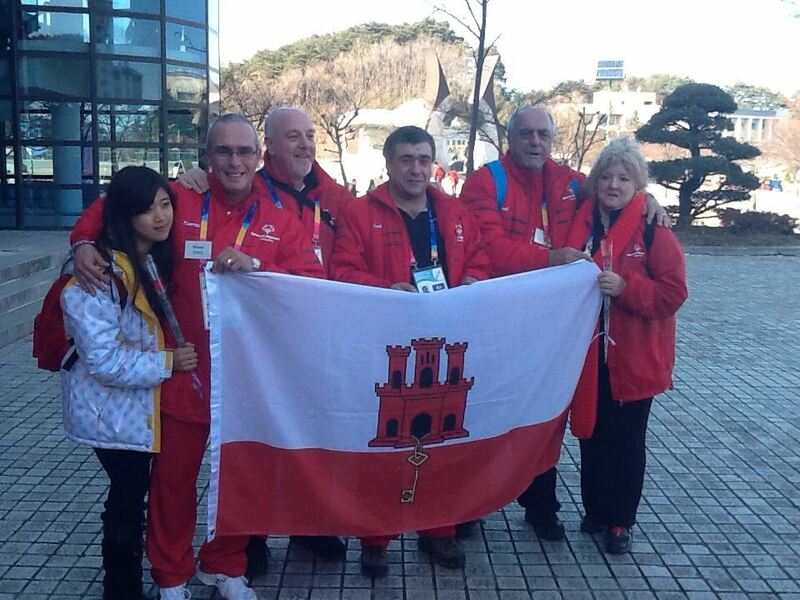 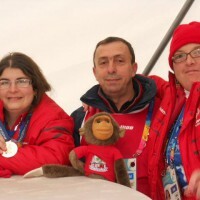 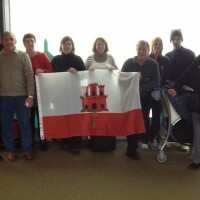 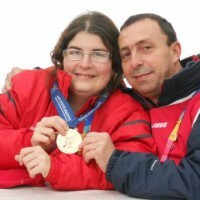 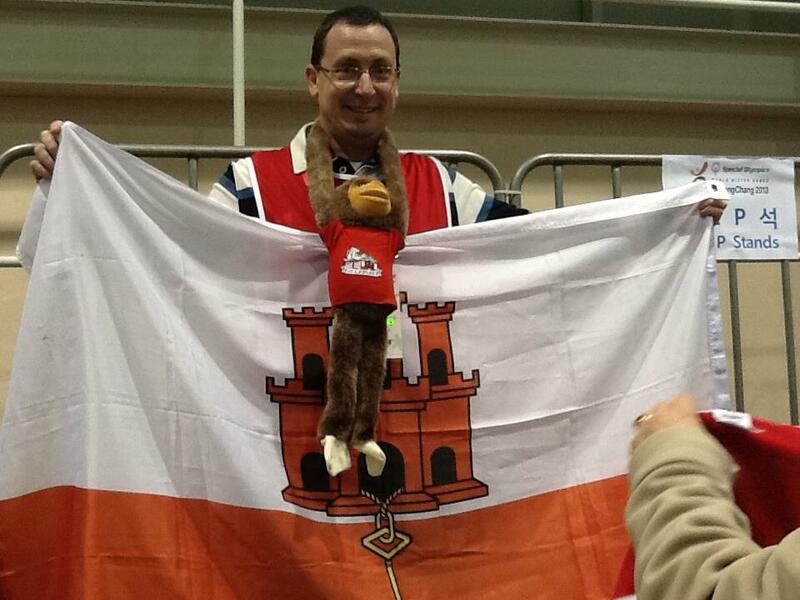 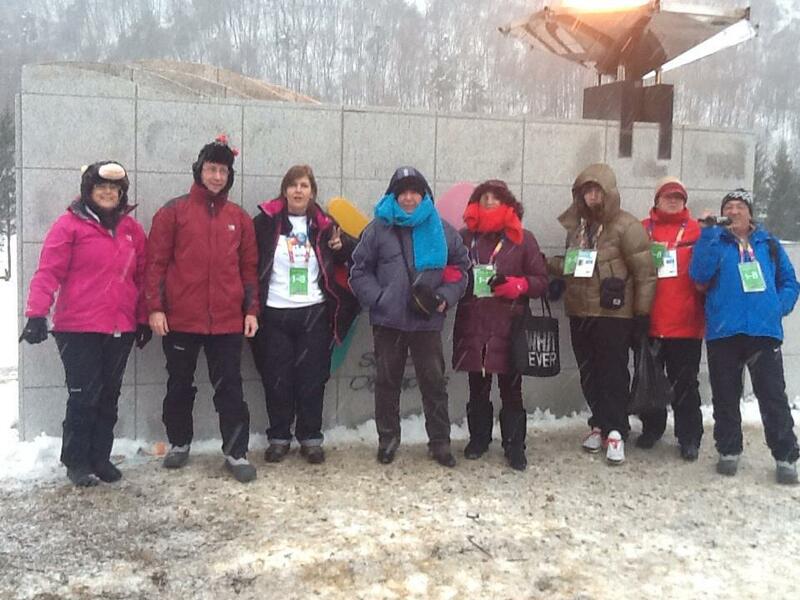 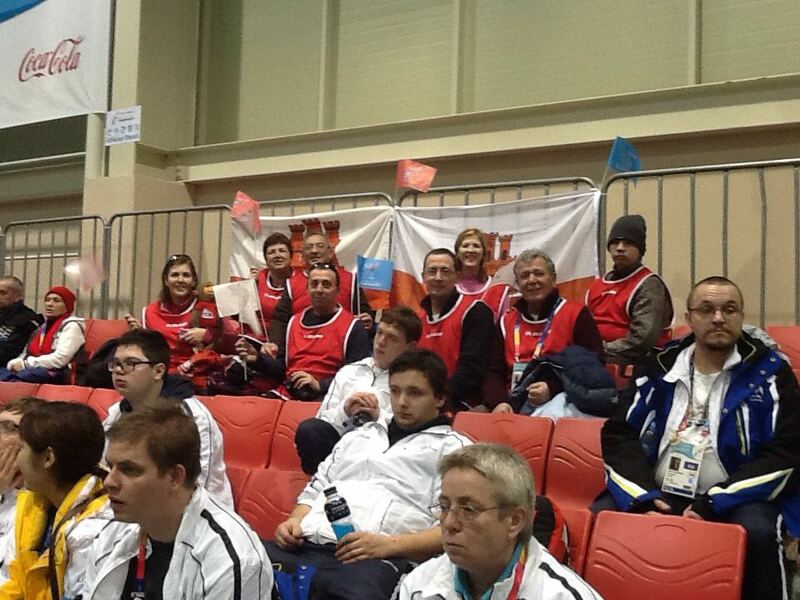 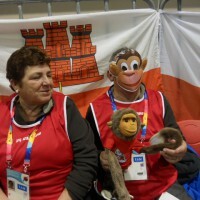 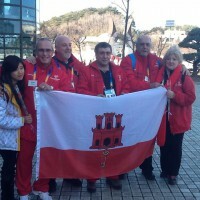 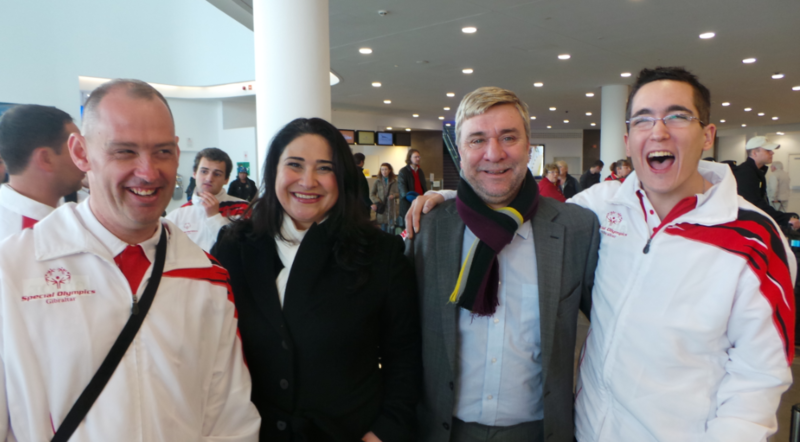 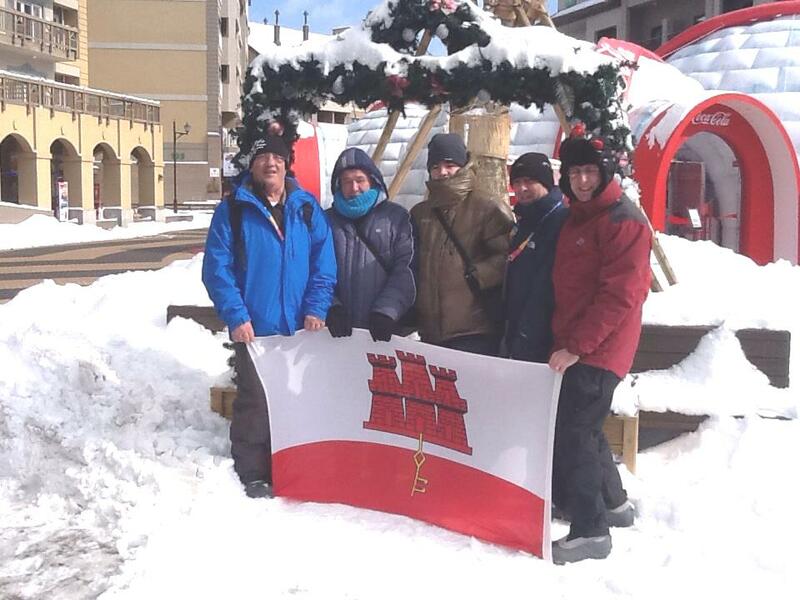 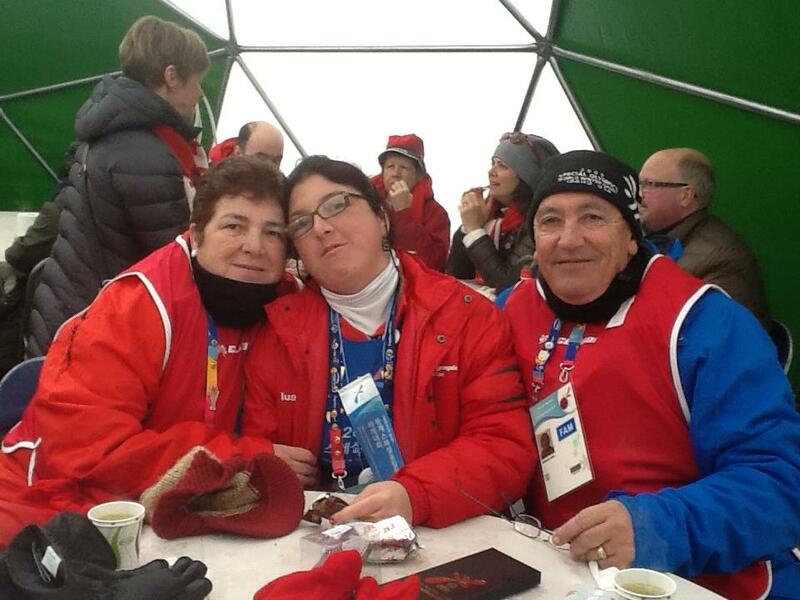 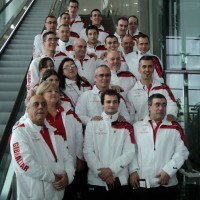 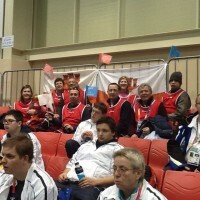 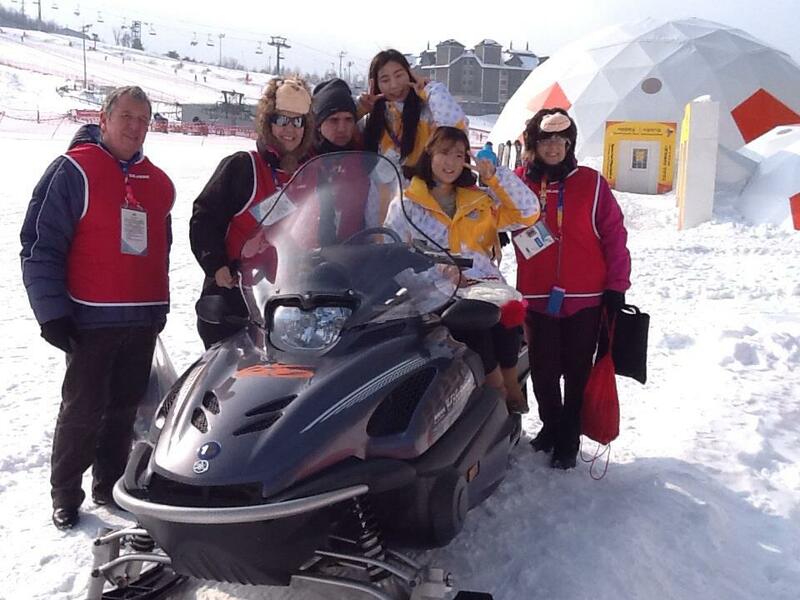 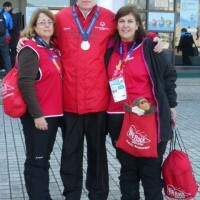 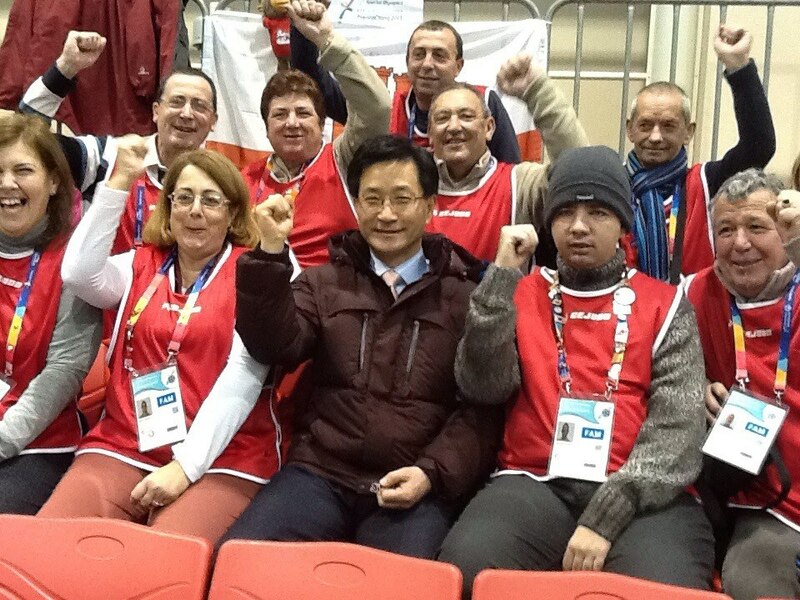 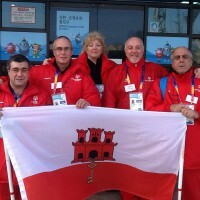 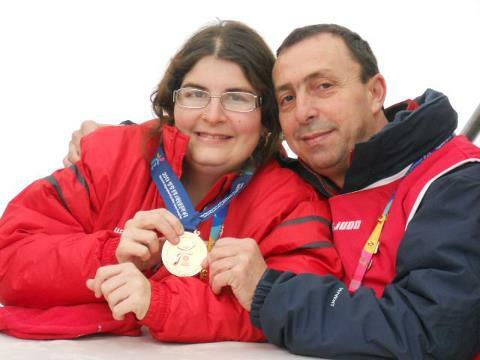 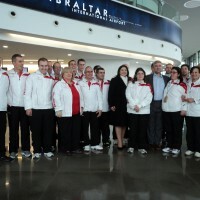 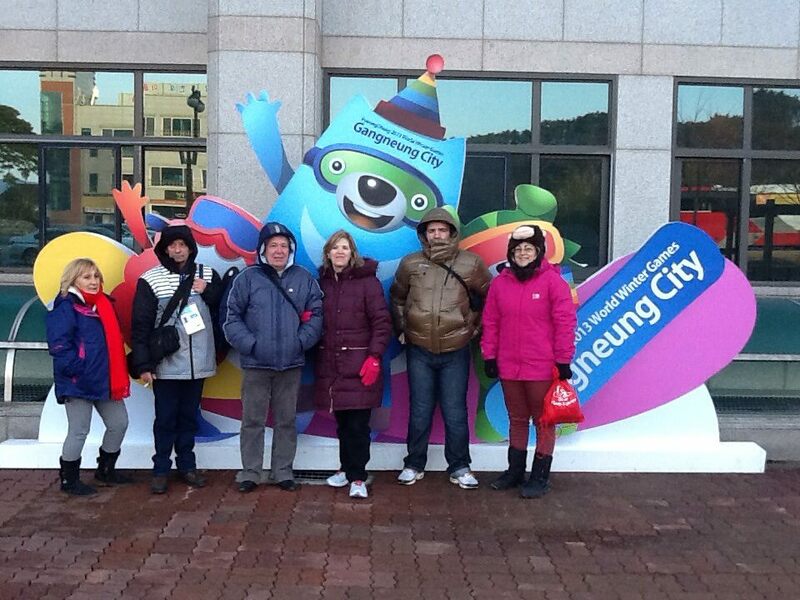 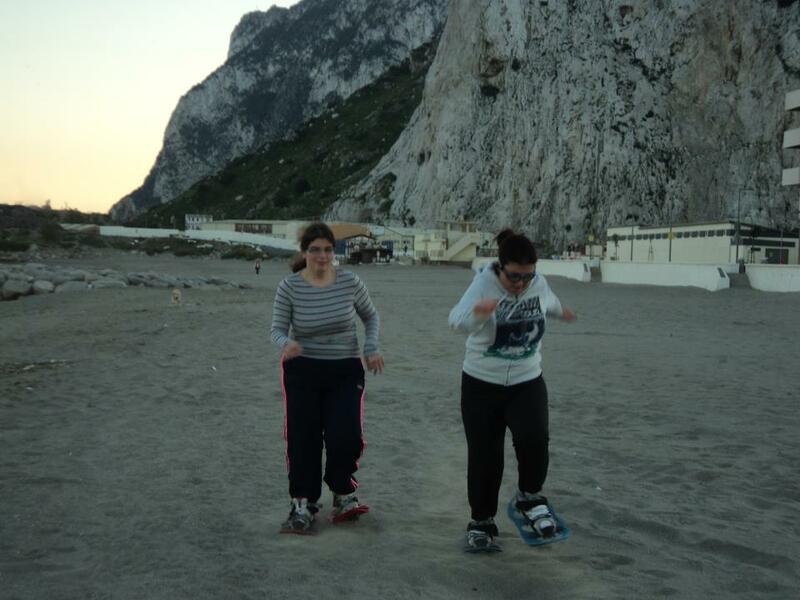 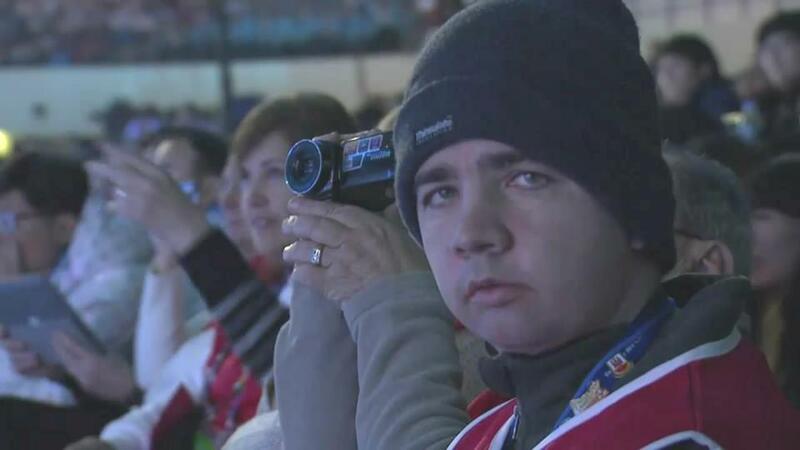 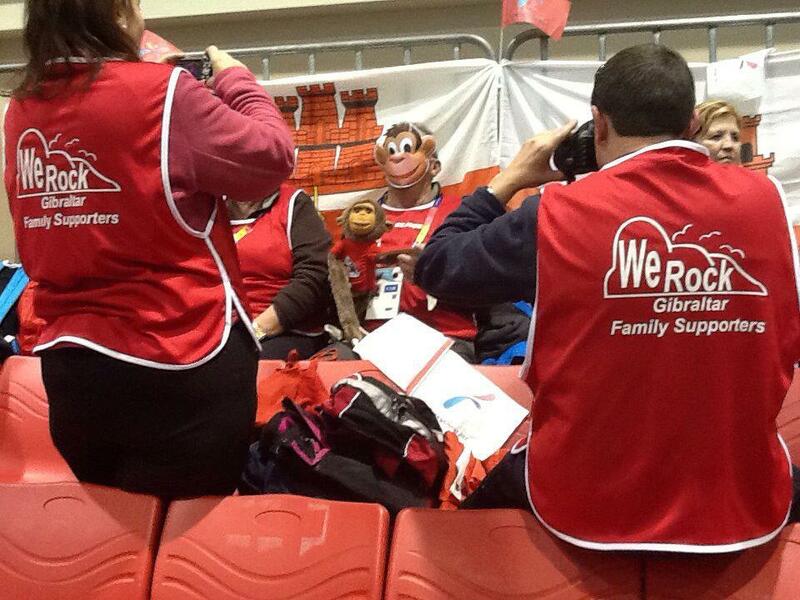 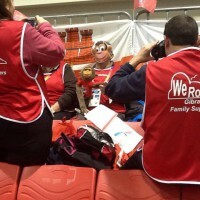 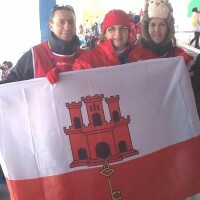 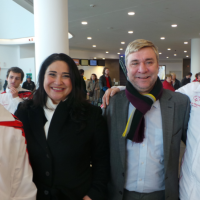 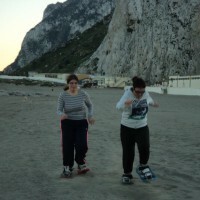 Family members from Gibraltar personified this at the recent World Winter Games in S.Korea. 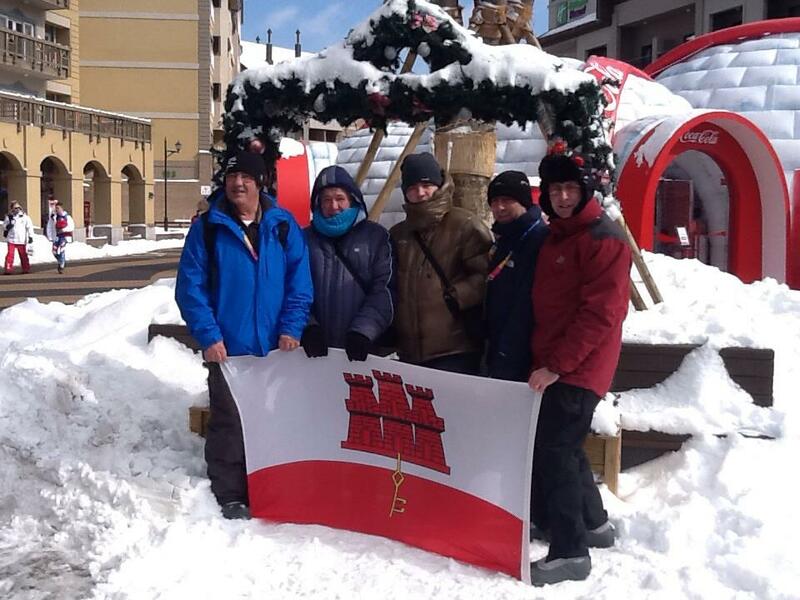 Those who travelled such a long way to the cold and the snows and minus temperatures never encountered before took the love and good wishes of those who remained behind making this support a force to be reckoned with. 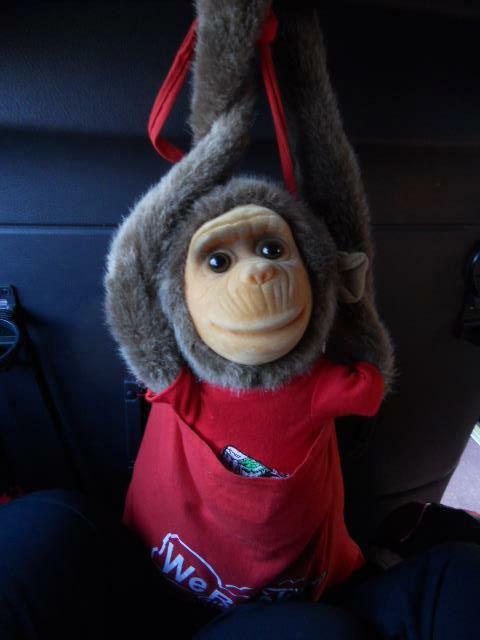 Rocky went too!